When John Isner and his opponent Nicolas Mahut stepped onto court 18 twelve months ago, no one expected that this first round match would live to be one of the most epic matches in history. In times where everyone was focused on the world cup, this match still managed to dominate headlines around the world. The match was played in a course of three days and went for 11 hours and 5 minutes. Both players managed to break several records in the match. Longest match (11 hours, 5 minutes). Longest set (the fifth set required 8 hours, 11 minutes). Most games in a set (138 in the fifth set). Most games in a match (183). Most aces in a match by one player (Isner, 113). Total aces in a match (Mahut’s 103 aces, the second highest number by a player in a match, brought the total to 216). Consecutive service games held (168: 84 for each player). John Isner celebrates the best win of his career. It took 65 minutes on the final day of the match for Isner to finally break with a down-the -line backhand passing shot and therefore winning the sweetest victory of his career. 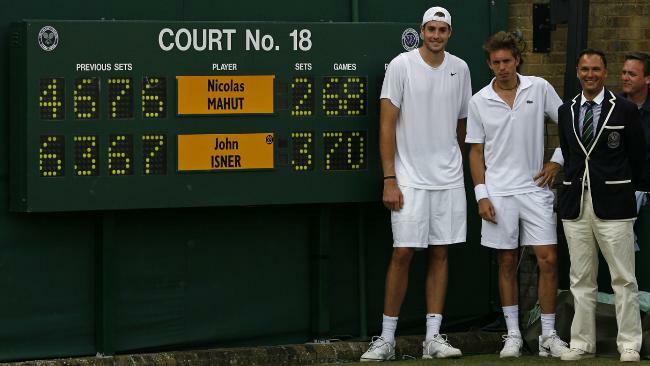 Unfortunately for Nicolas Mahut, all those 11 hours of blood, sweat and tears lead to a shattering loss. Isner comforts a devastated Mahut. One year on and as the luck of the draw has it, these two will ironically meet up once again in the first round, this time on court 3. John Isner has since dropped out of the top 20 whereas Nicolas Mahut rose into the top 100 and currently stands at number 94. The question is, are we in for another thriller? This match probably won’t end at the same historic scoreline, but what we can expect is for both these men, particularly Mahut, to come back one year on with the desire to either get even, or extend their win. 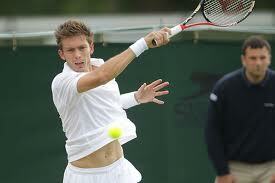 Mahut hopes to get even. 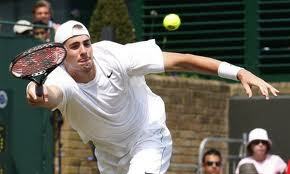 Isner intends to repeat his success. Fans will have to wait before this match begins as its scheduled in the late afternoon, but once it begins, it is likely the enthusiasm of many fans worldwide will be felt when the first ball is hit. For more blog posts on Wimbledon this week, please subscribe to my blog or follow my twitter account to get updated on the latest news stories of the tournament. Also feel free to comment your thoughts of this upcoming match or on the tournament in general. All images are thanks to the official Wimbledon website.